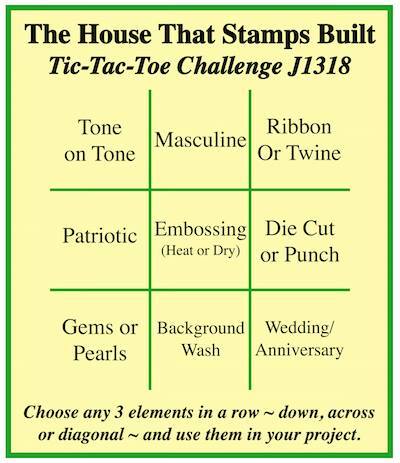 Here we are with another Tic, Tac, Toe challenge at The House That Stamps Built. 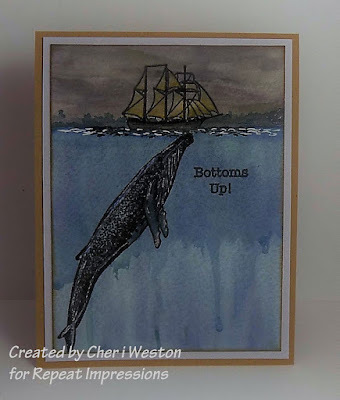 I know I have a wacky sense of humor, but when I saw this image on Pinterest, I instantly thought of the sentiment from the "Bottoms Up" set #9608-C. The other RI stamps used are RI#9508-J "Ship (in a bottle)" and RI# 2717-L "Humpback Whale". Here's the photo that inspired my card and got my wacky sense of humor activated. 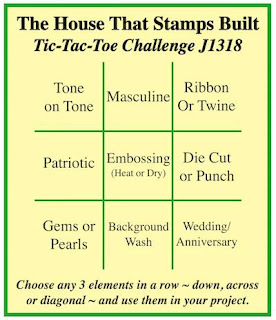 from the Tic, Tac, Toe board I followed the center horizontal line, Masculine, Embossing (my images are heat embossed) and background wash. I hope I have inspired you to join the challenge....we accept wacky sense of humor creations too. For the details on how to enter our challenge, check them out at THE HOUSE. And don't miss out on the fabulous creations my team mates have made for this challenge....here are their blogs. Oh Cheri, I love your unique take on the challenge this week! 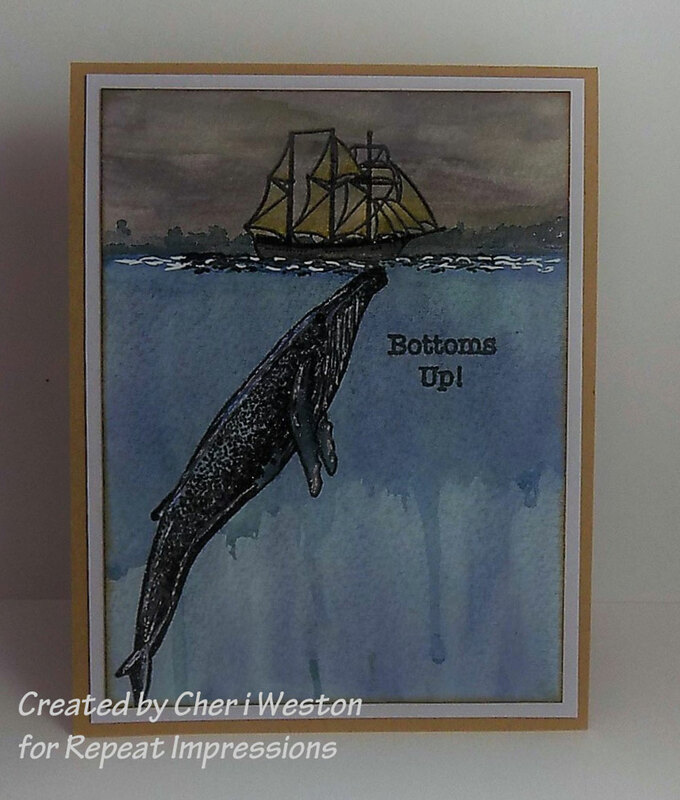 What a fun card and a perfect copy of the picture that inspired it! What a fantastic scene, your CASE card is stunning. The water and sky are fabulous and fun scene! So very clever! Your coloring is amazing! Awesome card. You did a wonderful job with CASing the picture. Great coloring. This is terrifying!! And also completely stunning! You captured the picture perfectly! This is a great recreation! 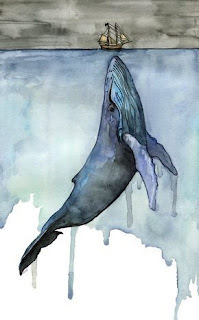 I love how you did the drips for the ocean. Beautiful card!